The 2015 Edition of the China International Tire Expo Opened on 9 September in Shanghai with around 350 exhibitors- the show's most ever. The sustained growth represented by these numbers has led to the decision by organizer Reliable International Exhibition Services to transfer CITEXPO to the Shanghai World Expo Exhibition and Convention Center(SWEECC), built in the centre of the 2010 Shanghai World Expo site. 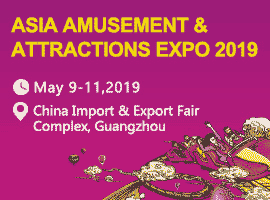 The show also boasts strong continuity, with around 80 percent of 2014 exhibitors back in 2015, according to Reliable in past years the organizer has come to expect a similar proportion of its customers booking their space for the following year during CITEXPO. Managing Director of Reliable International Exhibition Services Wilko Fong said: " CITEXPO 2015 once again broke its record in exhibition space and number of exhibitors as in every edition in the past fourteen years. The 380 exhibitors occupied four halls of a total of 33,000sqm exhibition space, showcasing their latest products and services to nearly 12,000 visitors coming from 30 provinces and over 100 countries and regions around the world. In order to allow more exhibitors to share our ongoing fruitful result in our future shows, CITEXPO 2016 will be moved to a new venue, Shanghai World Expo Exhibition and Convention Center. It is also encouraging that 75 percent of the planned booths have been booked during and before this year's show by our loyalty exhibitors and new comers. We are confident that CITEXPO 2016 being held at the new venue will be another milestone for this renowned event for the worldwide tire industry." T&A talked with Wilko Fong late on the 2015 show's second day to get some further detail on CITEXPO's planned move, asking how the show has continued to increase its appeal" The quality of Chinese tires is getting better and better, and it is important that they meet the standard requirements introduced (in the last few years). European people didn't trust Chinese products, because they were perceived to be lacking in quality, but now they hit the standard requirements. So with this data, you can pay less to get a comparable product." MR.Fong added that he believes the show's level of popularity with foreign buyer has increased for this reason, among others. Reliable remains confident that the move to SWEECC is "not really" a risk for the show, since three quarters of the originally planned space had been reserved before this year's show began, and much of the rest had been booked by the end of day two. MR.Fong also suggests that less established Chinese Tire shows are feeling the problems keenly than CITEXPO, having reached 13 editions it is up to double figures ahead of more recent attempts to enter the marketplace. 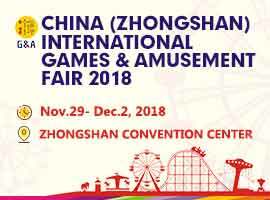 Mr.Fong is bullish about other show's ability to convert CITEXPO exhibitors: " When some of our customers said they wanted to try another show, we were so happy! Because once they experience other events, they will be very loyal to our show in the long term."